: Cost of America's Tax Office Franchise? How Much Does It Cost to Own an America's Tax Office's Franchise? Owning a America's Tax Office business-related franchise can be a lucrative business, but it does have some initial financial requirements. To open a single tax services location, the company requires that potential franchisees have liquid assets of at least $0. The franchisee startup costs associated with owning an America's Tax Office business-related franchise are similar to those of Unlimited Taxes & More Inc.National Tax OfficeFederal Direct Tax Services. America's Tax Office falls under the 'business services' franchise category. Inside this category, it is further subcategorized under 'income tax'. See how the investment level of America's Tax Office's compares to those of other available business services related franchises. The tax business is one of the lowest-cost, highest-return service businesses. You can operate a tax preparation service with little more than a computer, Internet connection and a telephone. Better still is the built-in, recession-proof demand. Everyone must file. In 2010, over 131 million people filed an income tax return and 61% of those used a paid preparer. That means the target market is at least 87 million people! In good times or bad, tax returns will be filed and taxpayers will pay to have others prepare the returns. 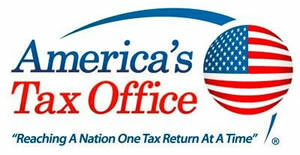 America's Tax Office is not currently accepting new franchise inquiries through this site. Please see our comprehensive directory for currently available franchises near you.